A fantastic day for families and kids of all ages! 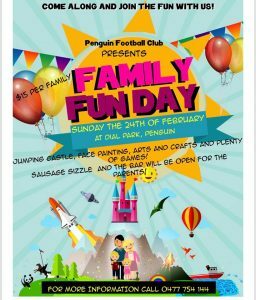 Loads of fun to be had with arts and crafts, games and activities, jumping castle, face painting, water play, sandpit and much more! Sausage sizzle and drinks will be available all day (the bar will also be open for the parents to enjoy a drink or two). The cost is $15 per family. Hope to see you all there for a fun filled day.